DJ B Traits uses #LIPGLAM, late nights working hard can cause dry skin and dry lips. But look what great condition DJ B Traits lips are in. She sent this photo to us with her trademark smiley face hand tattoo. The best lip balm for chapped lips. The best lip balm for dry lips. And now the best lip balm for DJs! I wonder if she uses it as a cuticle cream too because her nails look great! 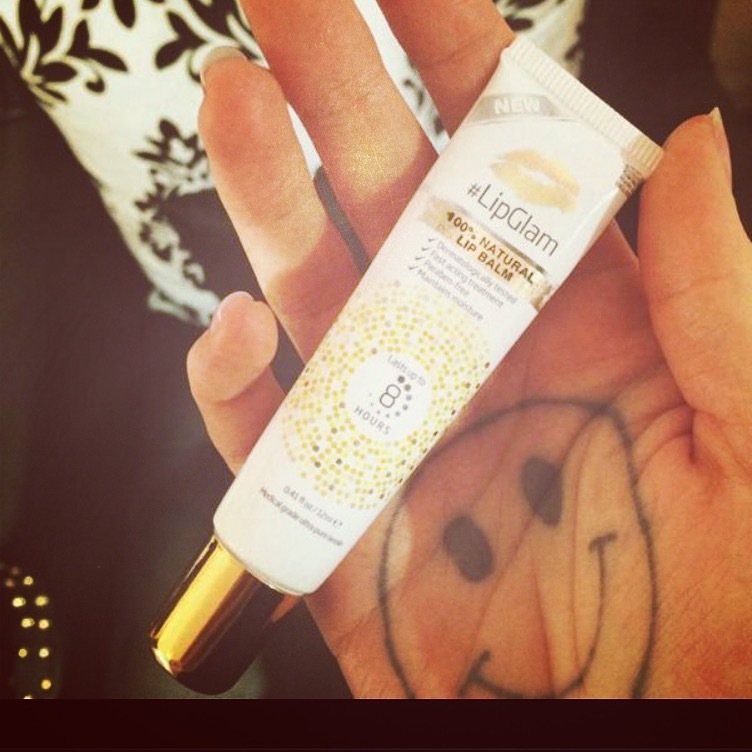 This entry was posted in LipGlam Lanolin Lip Balm on 14th December 2014 by Guest Blogger.